Welcome to our website. All our relevant news and information for members will be on this page. If any members have anything they would like to contribute to the website then please leave a comment below. We have a thriving allotment community here at Firs Estate with 52 plots on 6.5 acres of land. The main entrance is on Dean Street, at the junction with Harrison Street, opposite the Londis shop. The postcode is DE22 3PU. 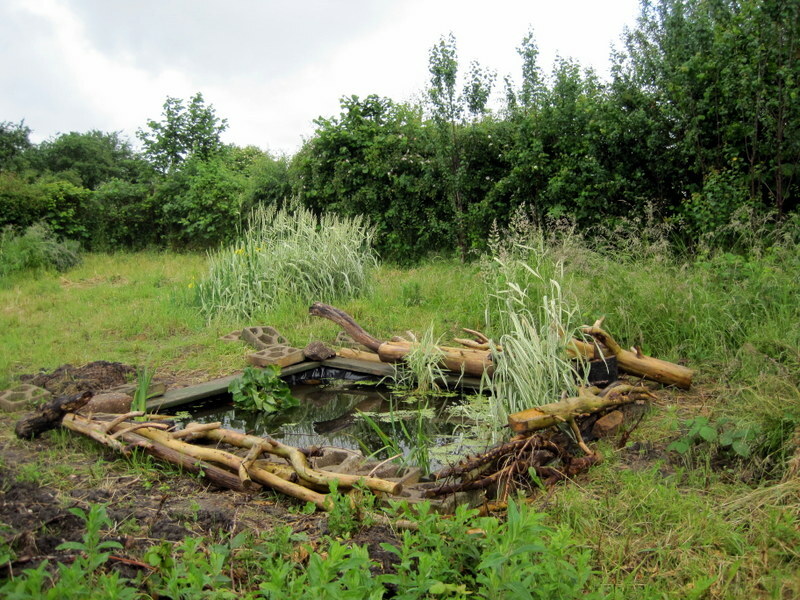 This is a private site (rather than a council-owned one) and is leased by the association from the landowners. The site is run by a management committee which is elected by the plotholders. Tenants who rent a plot automatically become members of the association. We are in a sheltered position on a south-facing slope with good loamy soil. We like to think it is an attractive site, with hedges bordering the grass tracks connecting the plots, numerous trees and an area set aside for wildlife. We are only too happy to hear from people who would like to rent a plot – if are interested in renting a plot or visiting the site please contact the association secretary Sandra Weightman on Derby 365943. This years open day is on Sunday 19th August 11am – 3pm. Entrance on Dean Street opposite the Londis shop. Come and have a look round our site. Fresh produce on sale, also plants, jam, pickles, plants etc. Free admission. No doubt many plotholders will be familiar with the swifts that fly over the site at this time of year. Derbyshire Widlife Trust are running a survey to find out where they nest and think this may be the largest colony in the city. We know that they use the old tape factory on Dean Street to nest in and suspect they may also be using the roofs of other properties locally. It would be a great help if people could keep an eye out and if you see swifts going under the eaves of any houses then to let me know the address using the comments form below so that I can pass the information on to the Trust. Many thanks. – You may only have bonfire between October 1st and May 1st. – Only start a bonfire one hour before sunset. – Please take into account the direction in which smoke may blow. – No more than three bonfires a year, excluding bonfire night. – Keep the fire under control and do not leave unattended. – Do not burn plastic,carpet, furniture or material that could be used for compost. Since the fire was reported in the Derby Telegraph we have been touched by the many offers of support we have received to help us put things right. Funding is being provided by Toyota, Western Power, Littleover Business Group and Tom Carey Fund to clear up the debris and to provide new tools and equipment for the school group. Donations have also come from the Rowditch pub and Kedleston Road allotments. Mr Green and Mr Tunicliffe have provided us with two sheds and two greenhouses to replace those destroyed in the fire. The school are moving on to a new plot for a fresh start; students from Broomfield College and members of the association have given their time to help clear the plot ready for cultivation and a skip provided by Metallon Ltd. Very many thanks to all the organisations, businesses and individuals who have helped us out with funding and time – we couldn’t have done it without you and can now look forward to the future with renewed optimism. Thanks to Sally Ann and Sandra for making this happen, and to the community payback team for providing the labour. This would be the offspring of ones that overwintered here as the new wave of arrivals from the continent haven’t arrived yet. And according to Ken Orpe, the recorder for the East Midlands branch of Butterfly Conservation, only the fourth to be seen in the county so far this year. 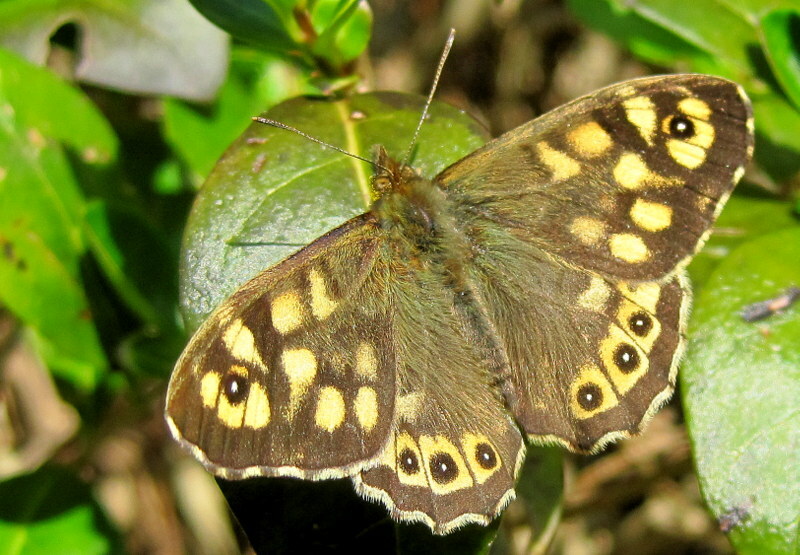 In May there were numerous speckled woods on site – some of the highest numbers in the county according to Ken, making our site a “hot spot” for this species. Butterflies are one of the best indicators of the health of the environment so it goes to show how valuble our site is for wildlife as well as keeping us fed. 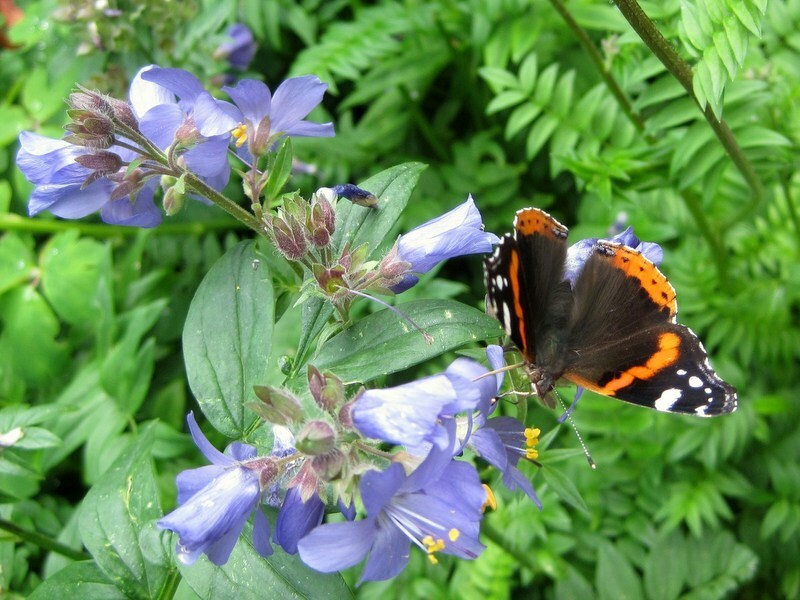 You can help butterflies by not being too quick to strim down long grass, brambles and nettles at the back of your plot – these provide an ideal habitat for them and their larvae. Obviously you don’t want these to overcome your growing area but leaving some space for wildlife benefits us all. Please could members make sure they inform the secretary of any change of address or any other contact details ie phone or email address. We need this information as in the past we have been unable to contact some members about urgent issues. We will never share your contact information with third parties. Thankyou.